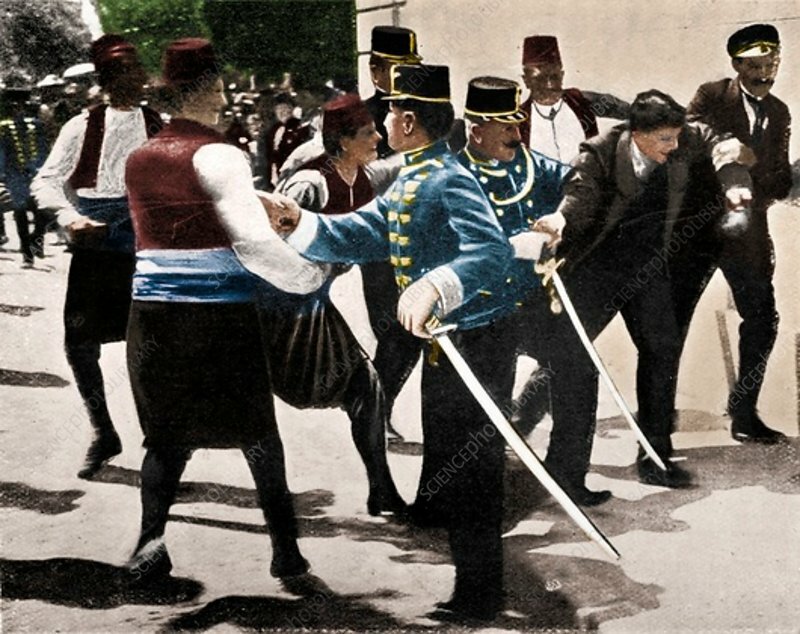 Arrest of Gavrilo Princip, assassin of Archduke Franz Ferdinand, 1914. Arrest of Gavrilo Princip, assassin of Archduke Franz Ferdinand, 1914. Princip, a Serbian nationalist murdered the Archduke Franz Ferdinand (1863-1914), heir to the Austrian throne, at Sarajevo, on 28 June 1914. The assassination set Europe firmly on the road to the First World War. From 'The Manchester Guardian: History of the War', Vol. I.-1914-15., 1915.